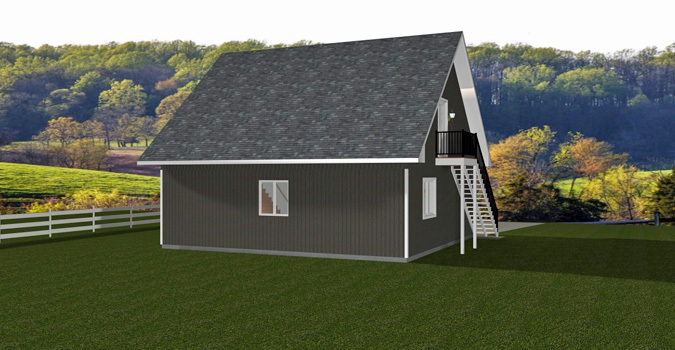 This Plan is a 2-Car Garage with living quarters above. 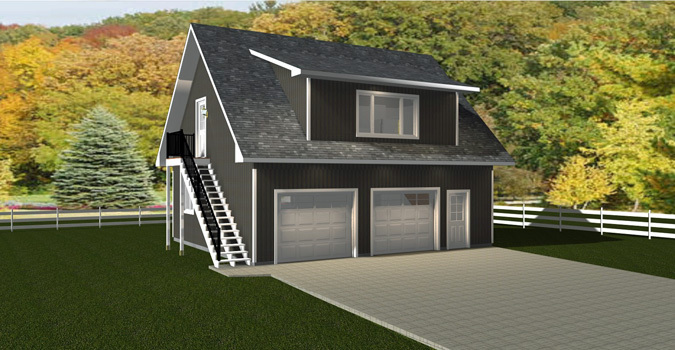 A great carriage house design with a bedroom, bathroom, a kitchen and storage upstairs. Upstairs the large window provides lots of natural lighting. 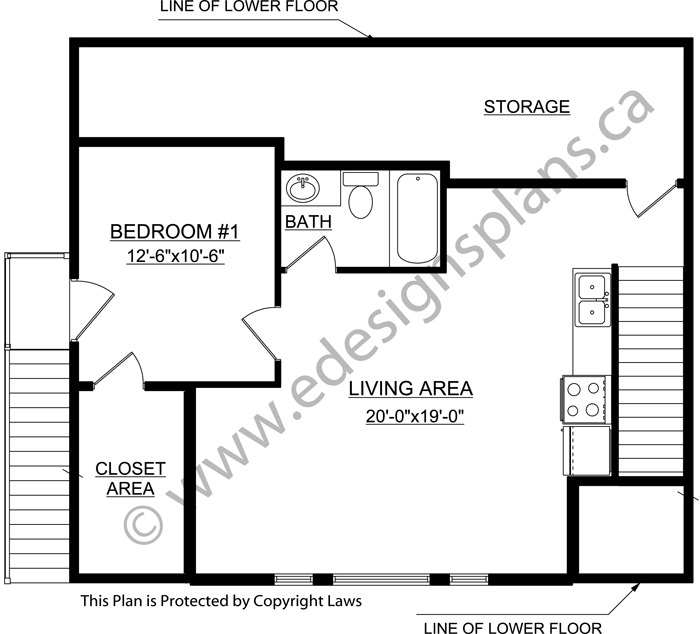 The bedroom has a walk-in closet and is righ tnext to the bathroom. The storage area is large, and the remainder of the area is all open. 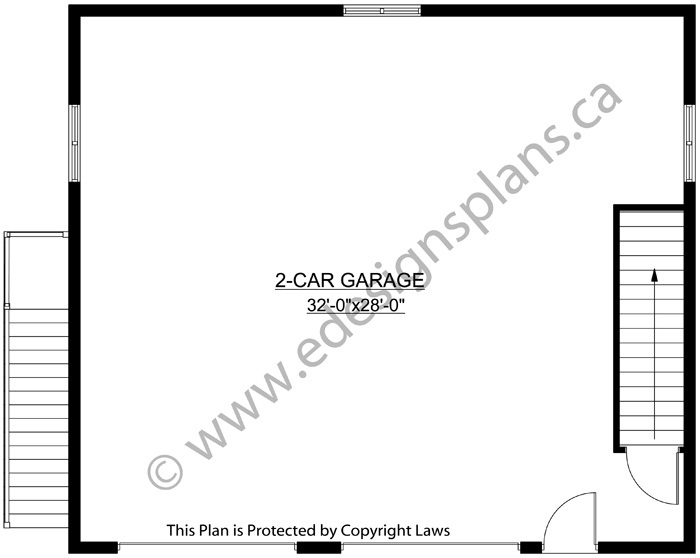 Access the second floor from inside the garage or from the outside steps.